Those are the three words that come to mind when I use Bee Cream from Rachel’s Plan Bee. This tiny little jar of skin-softening goodness is packed with extremely moisturizing oils and butters to create a thick, protective, salve-like treatment. It’s perfect as an overnight hand and foot treatment or as a cuticle softener during at-home manicures. That’s actually how I came to love Bee Cream; I began using it as a cuticle nourisher after seeing this Instagram post from Rachel. 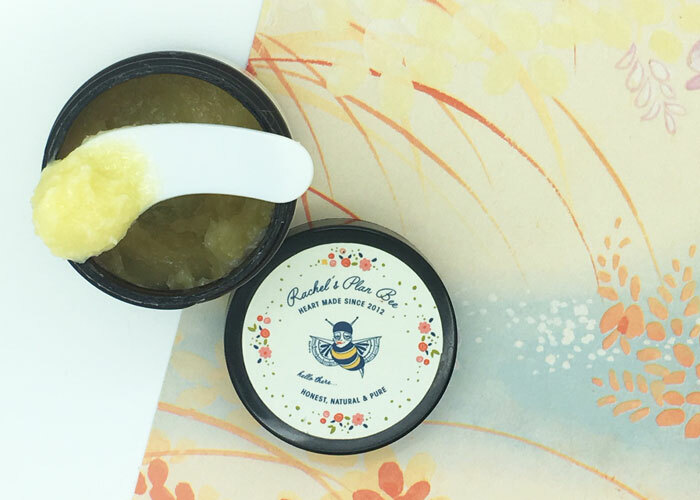 While so many products — oils, butters, lotions, creams — can be used as cuticle softeners, there’s just something different about Bee Cream. It’s SO thick and lush, so it feels extra soothing and protecting on my sometimes-ragged cuticles. Bee Cream keeps them soft and keeps me from picking at them when I’m in between manicures. As an overnight hand treatment, Bee Cream feels very intense because I like to layer it on a little thick. You don’t need much at all, but for overnight, I like to get gluttonous and ensure my hands (which can get kinda scaly and dry) get the deep moisture they need during evening repair. Same goes for my feet, though sometimes I’m even more gluttonous with application because I can easily slip into a pair of fuzzy socks to keep everything mess-free. The results for both hands and feet? Super-soft, non-flaky skin that doesn’t feel parched by morning. Besides actual performance, what keeps me coming back to Bee Cream is the pretty scent. If you’re familiar with Rachel’s line, you know she’s a big vanilla addict. Her body oil and body butter have strong vanilla-citrus aromas. Bee Cream, however, is a little lighter, but stays true to the Creamsicle-like scent. I especially like this light, feminine scent at bedtime (Bee Cream has a spot on my bedside table!) for its ability to calm and soothe my senses before I fall asleep. For everything above — and the extremely affordable price of $12 — Bee Cream will keep its spot on my bedside table and have me repurchasing and recommending for as long as Rachel makes this! Which, um, better be forever because my cuticles need to remain presentable. What do you use as an intense cuticle treatment? What thick balms and salves do you like? Have you tried Bee Cream or anything else from Rachel’s Plan Bee? Tell me in the comments section!